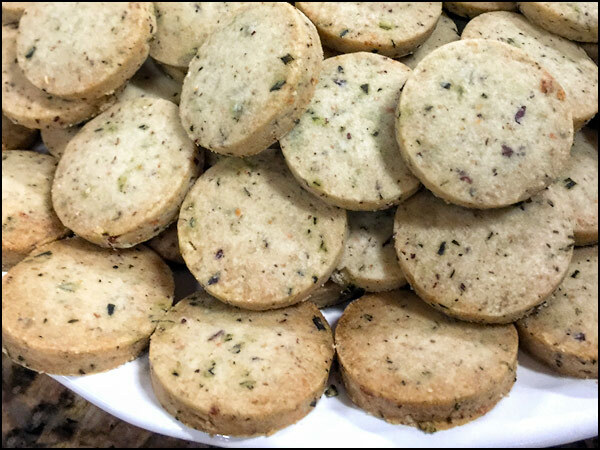 These smoky, cheesy cookies come together easily and are delicious with tea, wine or even Bloody Marys. Meet Dorie Greenspan, the cookie-whisperer. She creates little marvels, many of which actually come to her in the middle of the night as she dreams. Dorie is the definition of multi-accomplished. She has the inquisitive mind of a child and birthed a cookie monster, her son Joshua, who ran the cookie boutique Beurre & Sel in NY with her. 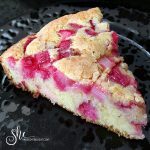 Dorie acquired techniques from working alongside of masters Julia Child & Parisian master pâtissier, Pierre Hermé. In addition, she has authored 12 cookbooks and is credited with creating more than 300 cookie recipes. 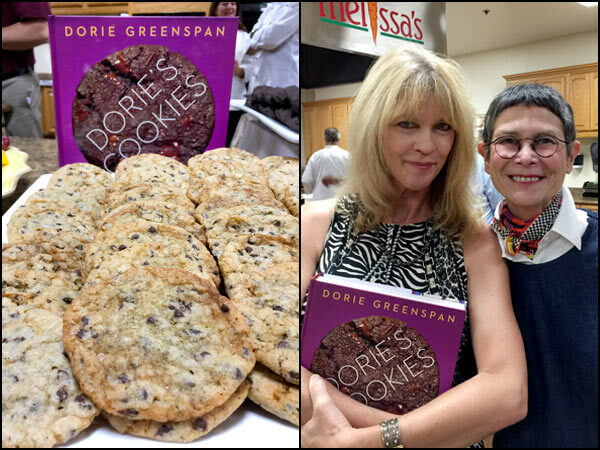 Meeting Dorie Greenspan on her Dorie’s Cookbook tour at Melissa’s Produce was such a thrill. I wasn’t the only Francophile who was excited to meet Dorie and taste her delicious creations. 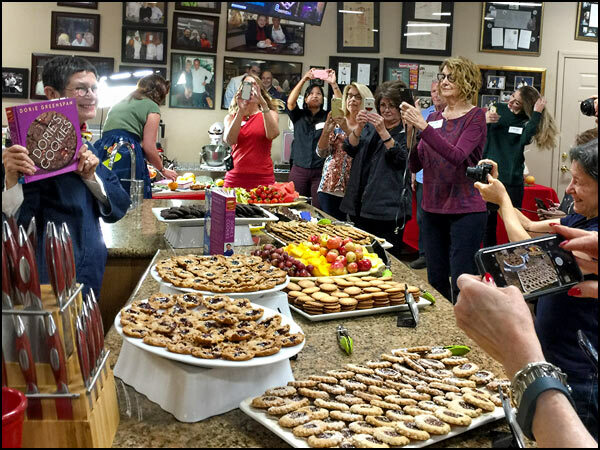 It was a packed house at Melissa’s Produce for this book-signing cookie fest. Dorie charmed us with her personality and with her deliciously sweet, and savory, cookie treats. 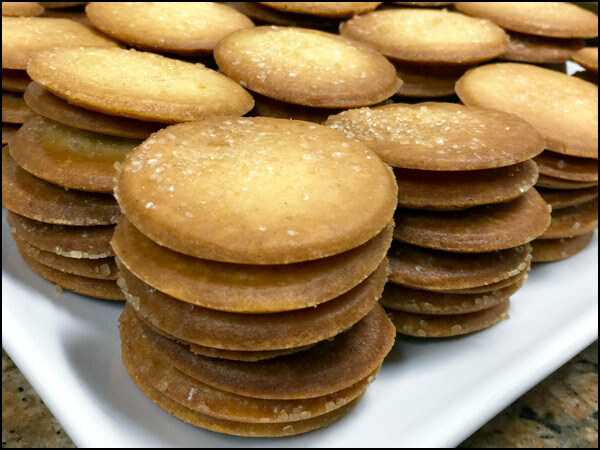 Here are a few sweet cookie recipes, and below those the savory cookies, which are often called “Cocktail Cookies” and pair nicely with anything from champagne to tea. All are from Dorie’s wonderful new book Dorie’s Cookies. 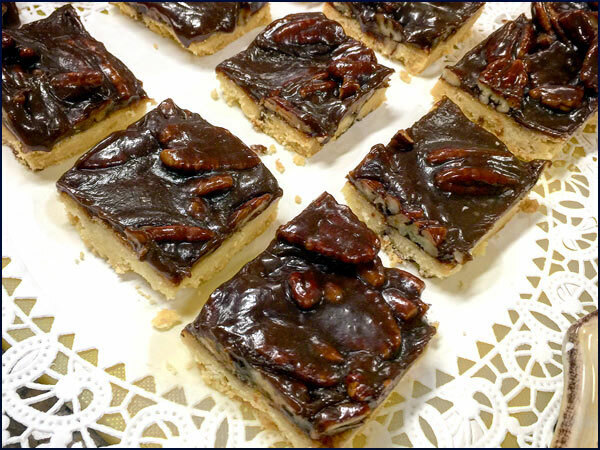 This was my favorite sweet cookie of the day & the recipe came to Dorie in a dream. Personally, I think she should have named these Dreamy Jammers. 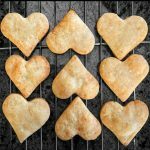 I made this recipe for appetizers on Thanksgiving cut into heart shapes. I pre-made them three days in advance and froze them. 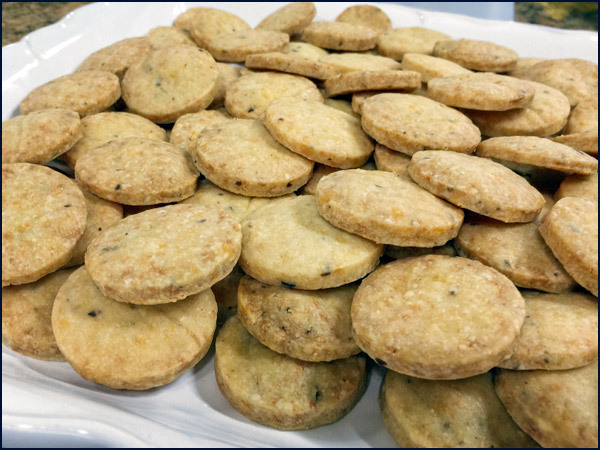 Right before my guests arrived, I popped the pre-cut frozen cookies in the oven and my guests were delighted by the aroma and taste of these flaky, cheesy cracker-style cookies. 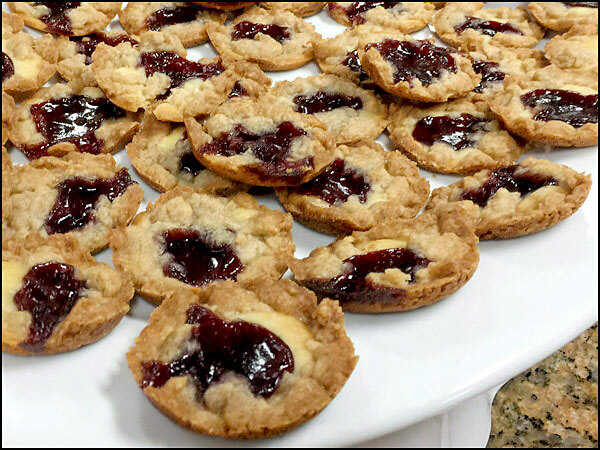 These smoky, cheesy cocktail cookies come together easily and are delicious with tea, wine or even Bloody Marys. Put the cold butter and Gouda, the cheddar, salt, black pepper and cayenne in a food processor and pulse until the butter is in bits and the mixture forms small curds. Add the flour and pulse again, in long pulses, until the dough is moist and forms larger, popcorn-like curds. Turn the dough out and knead it gently, just until you can shape it into a ball. Divide the dough in half and pat each half into a disk. Working with one disk at a time, place the dough between two pieces of parchment paper and roll to a thickness of 1/4 inch. Slide the dough onto a baking sheet - you can stack the slabs - and freeze for at least 1 hour. 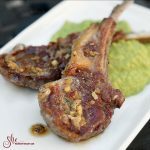 Center a rack in the oven and preheat it to 350 degrees F. Line a baking sheet with parchment paper or a silicone baking mat. Have a 1 1/2-inch-diameter cookie cutter at hand. Working with one piece of dough at a time, peel away the top and bottom papers and return the dough to one piece of paper. Cut out as many cookies as you can and place them on the lined baking sheet an inch apart. Gather the scraps, then combine them with the scraps you get from the second disk, re-roll, freeze, and bake. Bake the cookies for 16-18 minutes, roaring the baking sheet after 9 minutes, or until they’re lightly golden on top and more golden on bottom. Let the cookies rest on the baking sheet for a couple of minutes, then transfer them to a rack and cool completely. Storing: The rolled-out dough can be wrapped airtight and frozen for up to 2 months, cut and bake directly from the freezer. 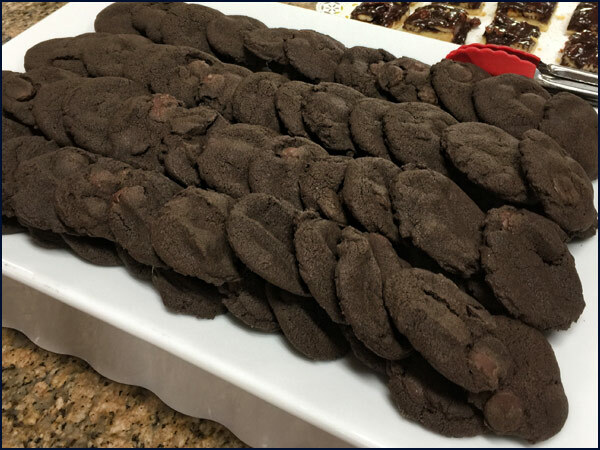 The baked cookies can be kept in a covered container for about 4 days at room temperature or, wrapped airtight, for up to 2 months in the freezer. I cut the cookies and froze them so it is super easy if someone drops in to pull them out of the freezer and bake. 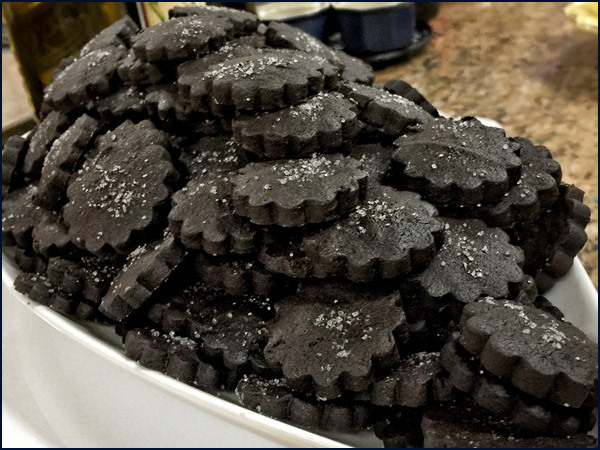 Dorie’s Cookies offers a mind-boggling assortment of cookie techniques, flavors, shapes, and sizes in her book. Her method of baking cookies in a muffin tin was a revelation to me and it’s just one of the secrets in her book. You can give this cookbook as a present or make cookies from it to give away, either way, you will be a winner. Here’s to sweet memories and sweet dreams. Thanks, Dorie! Disclosure: This is not a sponsored post. I was given a copy of Dorie’s Cookies to bake with, all opinions are my own. 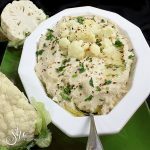 These look so delightful – I think they’d be perfect as New Year’s Eve appetizers! Yes Sue, it pairs perfectly with champagne. I want to sample every one of them, especially the World Peace cookie! They were all really good. If you love chocolate the World Peace cookies are your new best friend. Yes, and they were all very tasty! She’s definitely the cookie master. 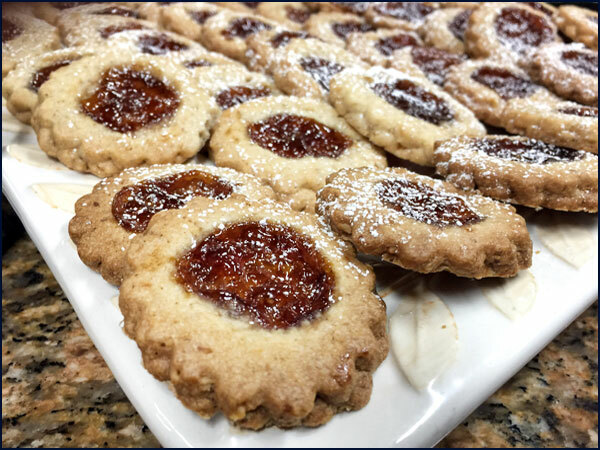 The cheesy cookies really appeal to me and say to your guests that you cared enough to make home made. Thanks Maureen, I now try to keep a batch of these in the freezer for guests. I want a truckload of ‘Little Rascals’ for my girlfriends! I want to get some ‘World Peace’ and send ’em to the President-Elect! And I want those cheesy-beauties for myself … for the me-time that I get at midnight when the entire house is all quiet. Nice meeting Dorie-the-legend at your blog. Thank you so much Nusrat! Happy New Year to you as well. YUM!!! 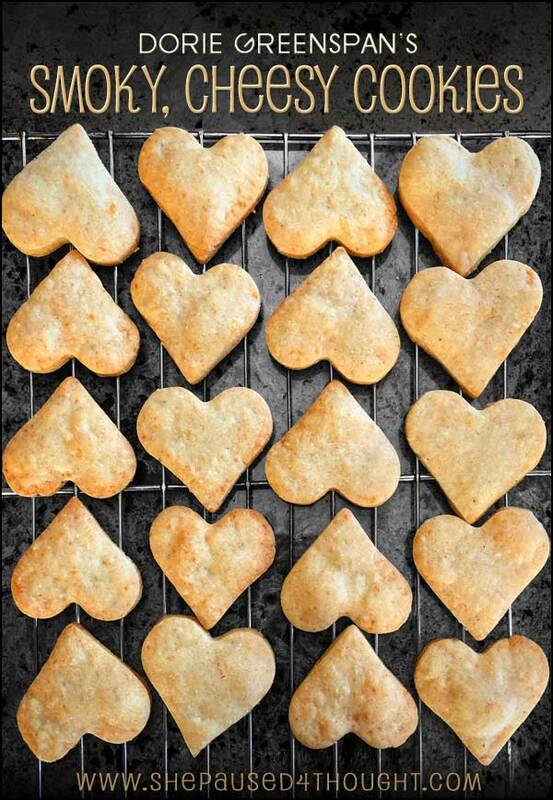 I’m a cheese lover… so I will make these cookies!!! Thanks for sharing!!! Oh Cheri, I am sure you will absolutely love these. 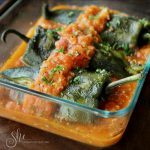 CATH… just had a get-together and made these for appetizers… but I added a twist! I might have rolled the dough too thin… so I put a dollop of mayonnaise (I know there is something healthier… but what I had on hand) on a cookie and put shredded parmesan cheese on and then another cookie! (Two cookies sandwiched parmesan cheese)! They were amazing… more like a biscuit with a bit of cheese inside and a hint of cayenne!!! People were fighting over them… and not everybody got one!!! You had to act fast!!! Will make them again!!! 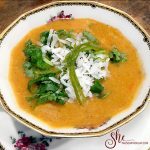 Thanks so much for the winning recipe!!! That is so clever Cheri! I am glad they were a hit at your party!